Stone Creek: A Planning Group subcommittee is reviewing a proposed new project named “Stone Creek,” which is a future redevelopment plan for the 300 acre section of Carroll Canyon owned by Vulcan Materials Company. The site runs from about 1/2 mile west of Camino Ruiz to Black Mountain Road. Map showing location of Stone Creek and Carroll Canyon Projects. The initial proposal was for 9800 multifamily residential units and 730,000 square feet of commercial and industrial space. A revised proposal containing 4445 multifamily residential units has been submitted to the City. See the October23, 2006 subcommittee report, the May 14, 2007 subcommittee report, the July 9, 2007 subcommittee report, and the September 7, 2007 subcommittee report. On May 21, 2012 the subcommittee made these recommendations which were then approved by a vote of the full Planning Group. At the February 17th, 2015 meeting subcommittee chair Jeff Stevens gave this presentation summarizing the project and the issues that the Planning Group had identified with it. The developer made a presentation on Stone Creek to the full planning group at the June 15th, 2015 meeting (Summary). There were a series of 5 subcommittee meetings from September-November which focused primarily on the traffic study (Summary and draft recommendations) with additional meetings continuing through May 2016. Further subcommittee meetings will be held as new information becomes available. The long-awaited traffic study was distributed on CD at the September 21, 2015 meeting. It is a 460 page document and is available for download here. There is also at 2600 page appendix available on the CD. At the January 21st meeting, these traffic recommendations developed by the subcommittee were approved by the full Planning Group. Subcommittee meetings are open to the public. 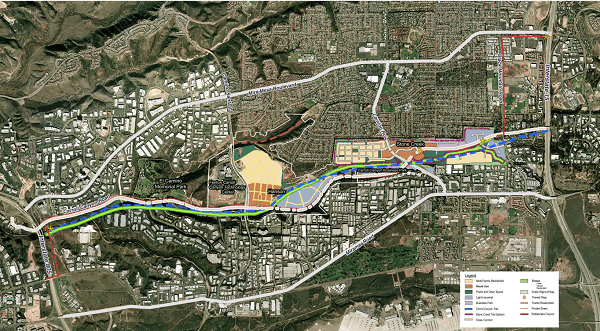 A copy of the master plan is available in the reference section of the Mira Mesa Library. Here is a copy of the draft community plan amendment.